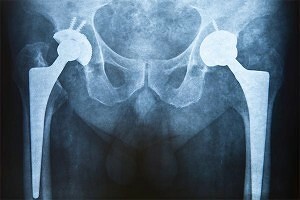 DePuy Orthopaedics, a unit of Johnson & Johnson, has pulled two hip-repair implants off the market because of quality problems. This recall comes more than two years after the FDA began receiving complaints about the failure of these hip replacement implants. The recalled products include the ASR XL Acetabular System, a hip socket used in traditional hip replacement, and the ASR Hip Resurfacing System, a partial hip replacement that involves placing a metal cap on the ball of the femur, a method intended to preserve more bone. How do I determine if my replacement hip is a DePuy? Some patients received a card from their doctor after their surgery, which lists the implant information. If you do not have a card, you can simply call your orthopedic surgeon and they can provide you with this information. As always, you can contact us at 800-888-8888 and our attorneys can obtain this information for you. Why are the implants being recalled? Johnson & Johnson are recalling the hip implants because too many patients needed surgery to replace the devices. The failures have caused patients to have to have a second hip replacement not long after their first, which often requires extremely expensive and often very painful operations. The unit had sold about 93,000 of the devices before phasing out production last year. The company said it’s withdrawing the “very few” left on the market because new data indicated surgeons needed to replace them at a rate more than twice the industry average. Individuals are advised not to sign anything from the manufacturer without consulting a lawyer. If you have questions about a hip implant you or a loved one has received, call Cellino & Barnes now at (800) 888-8888 or contact us online.